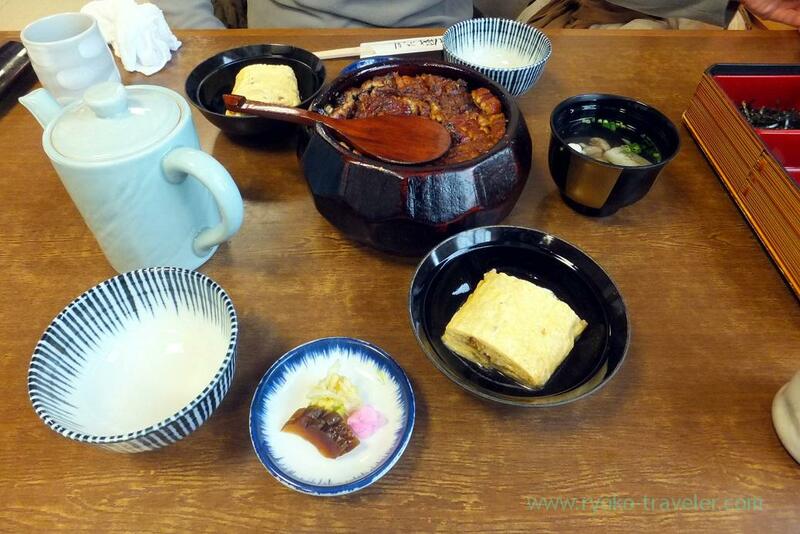 After we saw Nagoya castle, we went to another station to have lunch. 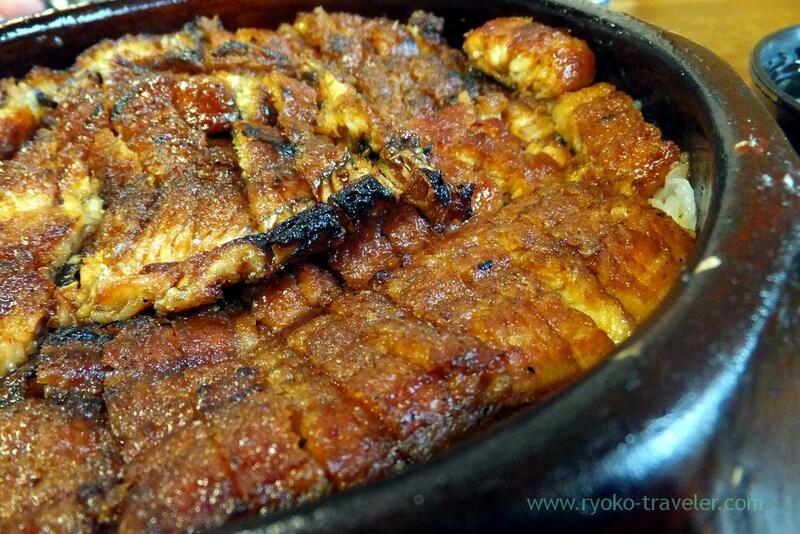 Speaking of Nagoya, Hitsumabushi is the most popular foods. Hitsumabushi. 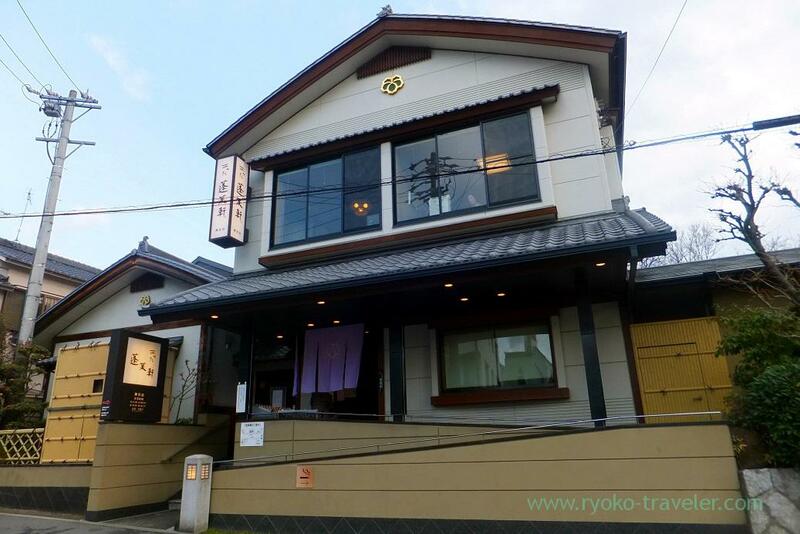 And ”Atsuta Horaiken” is the most popular hitsumabushi restaurant in Nagoya. 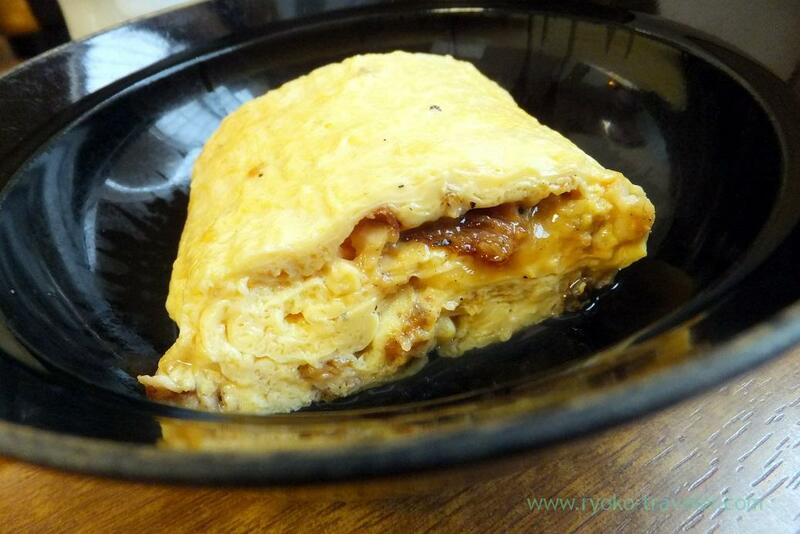 There’re some branches of Atsuta Horaiken in Nagoya city, and we chose one of the branch close to Jingumae station. They don’t accept reservation for lunch, so we have to go there and put ourselves on the wait-list. 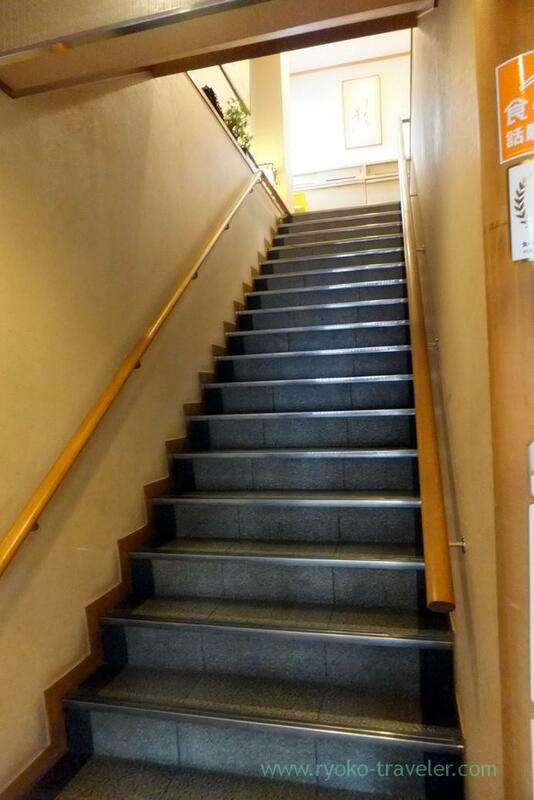 We asked to the lady and she answered that we have to wait for one hour or so. Jingu branch have one good thing for us. 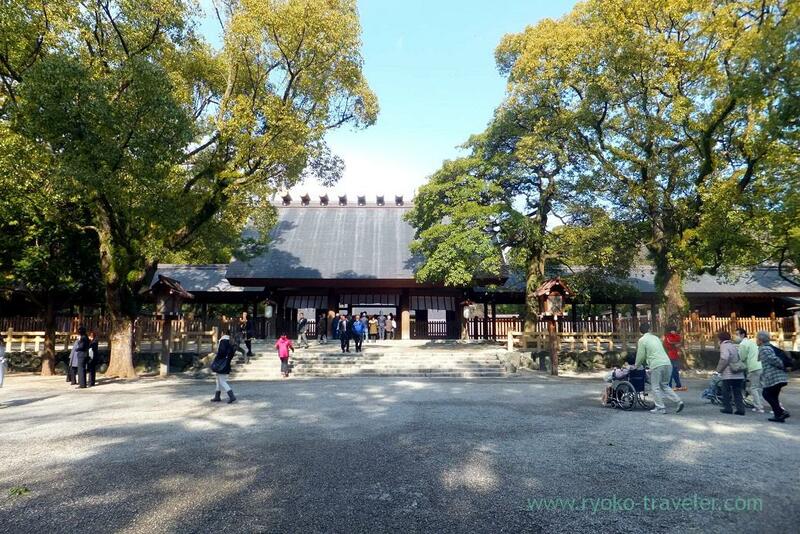 We can visit Atsuta Jingu shrine while waiting because Atsuta Jingu is in front of the restaurant. Of course, we prayed. They are dedicated to Atsuta no okami. 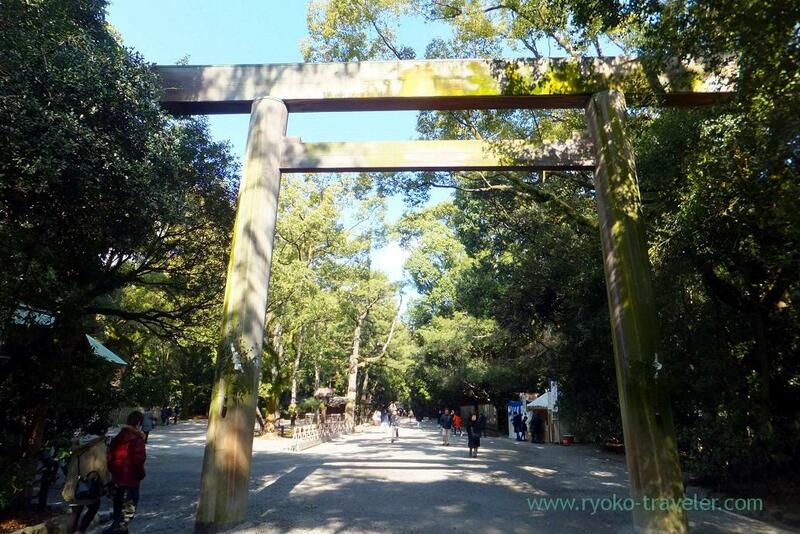 Though Atsuta Jingu shrine is very popular spot, it is not large shrine, so, it was good for us. 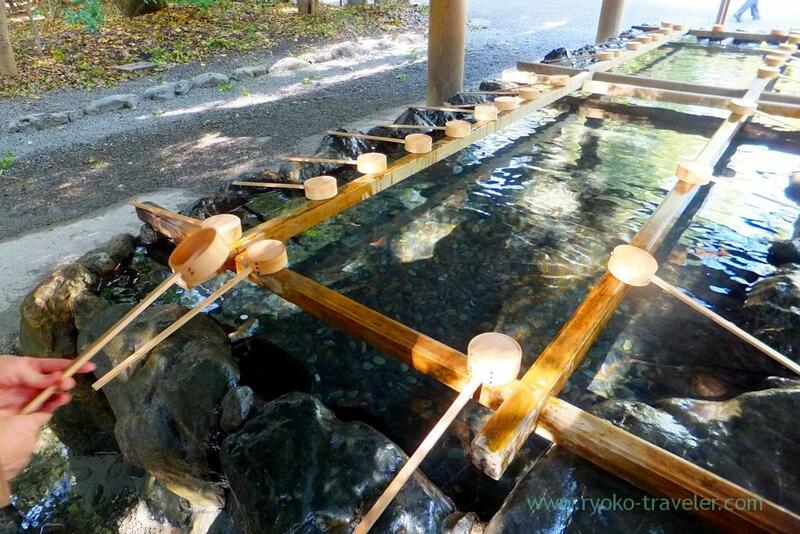 We walked around the shrine for 40 minutes and then went back to the restaurant. There’s wait-room on the ground floor, there were about 25 people there. We were taken to the seats in the tatami room on the 2nd floor sooner than expected. 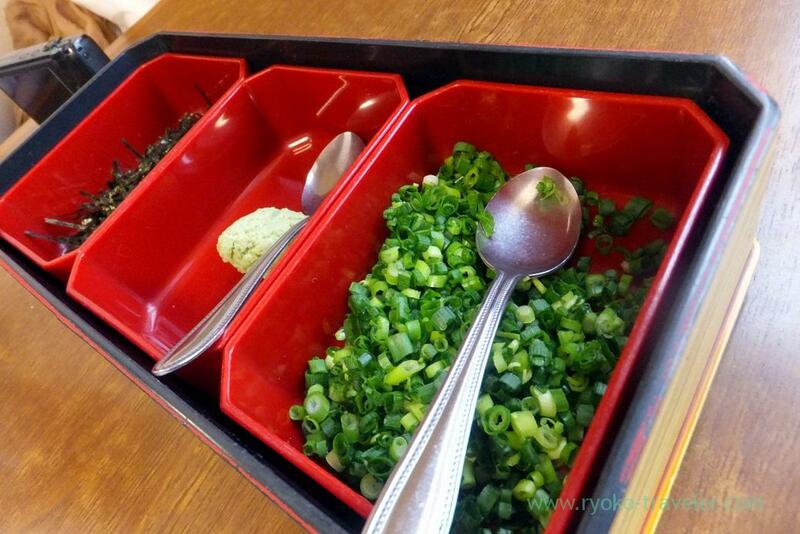 At first, condiments for hitsumabushi was served. From left to right, seaweed, wasabi and asatsuki (Japanese chive). Our lunch was served about 15 minutes after we ordered. And it is Hitsumabushi ! 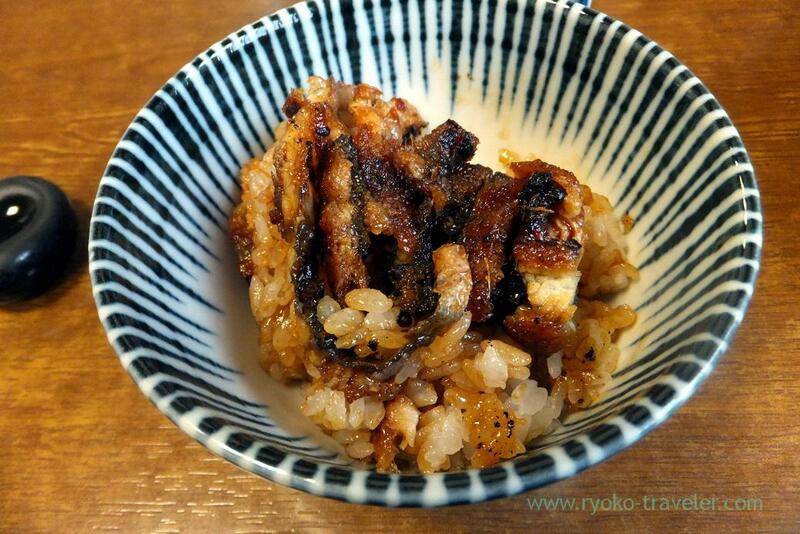 Mostly eel is served in the box or bowl around east Japan, but in Nagoya, hitsumabushi is the most popular way of eating eel. 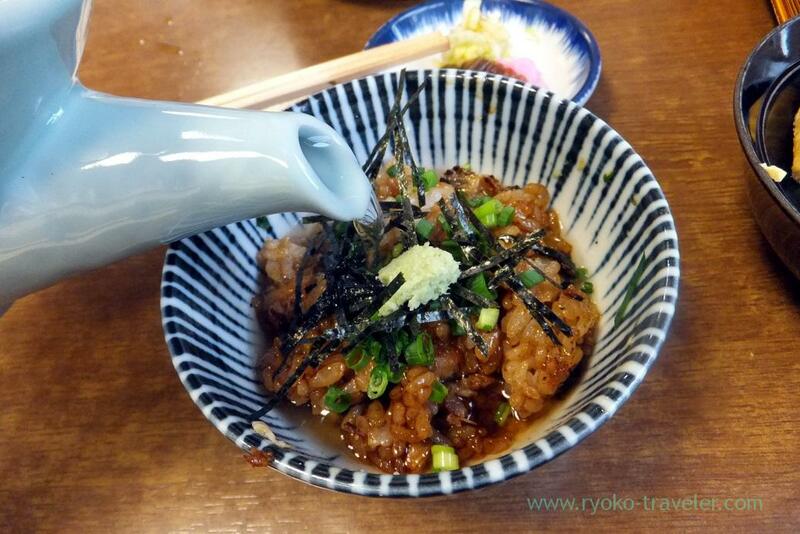 Hitsumabushi is well-known for Nagoya’s local foods. At first, we ate it without anything. The sauce wasn’t too sweet and it was good. Second, with condiments. 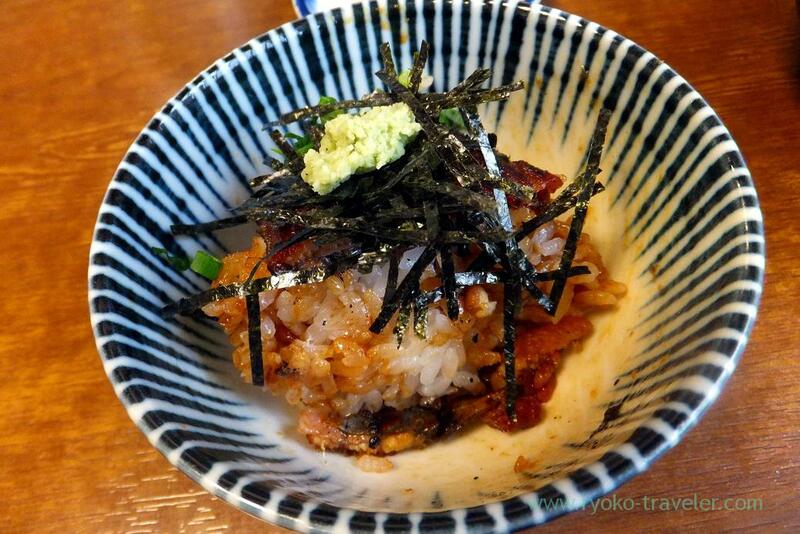 Hitsumabushi is very fun because we can enjoy some way of eating. 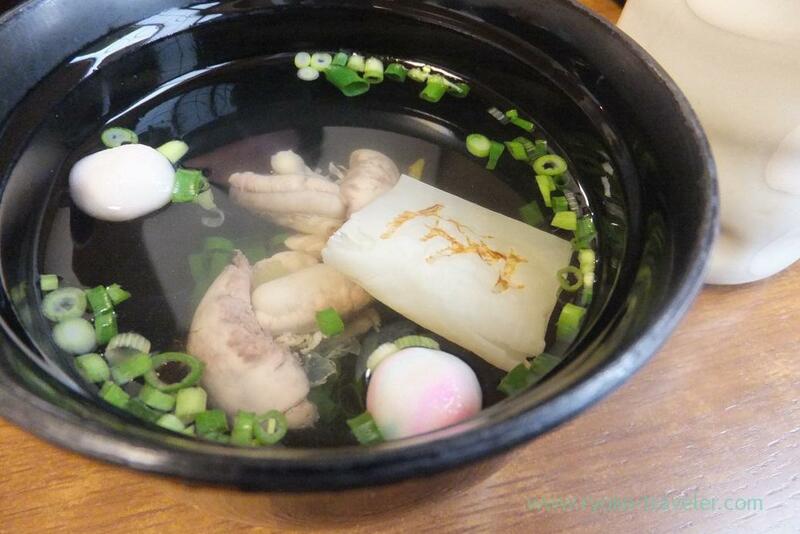 Every hitsumabushi have soup (without eels innards), and they change the soup to kimosui (soup with eels innards) with 250 yen.